Homeowners understand that remodeling your kitchen can be a significant investment. 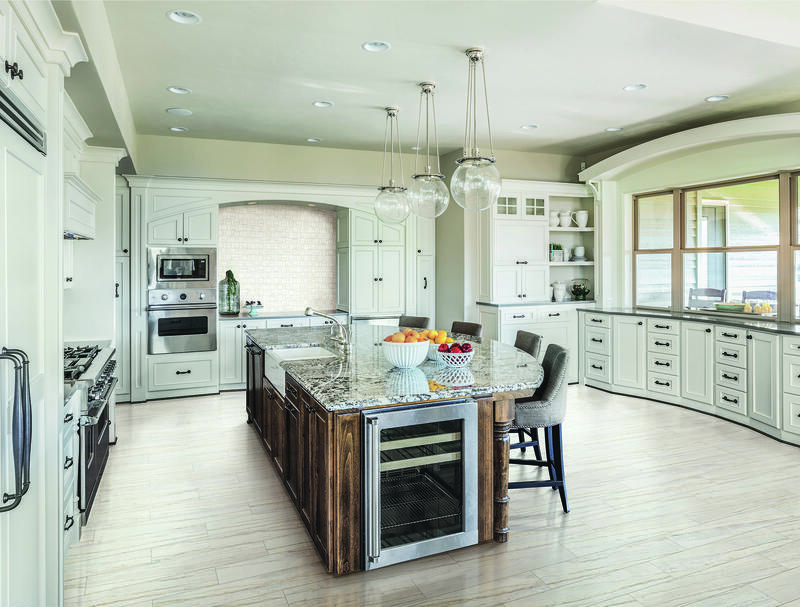 Remodeling your kitchen for resale can be one of the largest return-on-investments that homeowners will make. The main fear that homeowners and buyers alike face is will their kitchen be out-of-style in the next few years? While the design community works hard to make predictions, we never know for sure what will stay in style. A great way to predict design trends is to focus on the trends that have stuck around all these years. We have created a list of a few timeless kitchen pieces that have won homeowner’s hearts over the decades. Age is Beauty. Sometimes the older a kitchen, the more beautiful and stylish it becomes. Older kitchens have character and personal craftsmanship that is not often seen in modern kitchens. Before you fully renovate your kitchen, take a good look at its detail. Something that you may see as aged and out-of-style, another home buyer may see as beautiful and timeless. If you do not have the advantage of an older kitchen, consider adding details that evoke a feeling of age. Try ceramic tile that looks like aged brick or reclaimed wood. Simple Color Scheme. Kitchens can begin to look old and worn from the use of bold colors. A great way to keep your kitchen in style for the long-run is to use neutral tones. Sticking to a neutral color scheme can keep lines clean and sharp for a future home buyer. Hanging Pot Rack. A timeless piece that we see in kitchens are hanging pot racks. They add a stylistic choice to a kitchen that makes it feel more open and lived-in. Natural Stone. If you can afford it, stone in the kitchen has always been a fan favorite. Stone gives your kitchen a feeling of permanence, warmth, and luxury. Using stone tile in your backsplash design can change the focus of the entire space. Another wonderful choice is porcelain tile that looks like natural stone, which is the more popular of the two. Why? Porcelain tile requires less maintenance and is a fraction of the price of stone while having an identical appearance due to amazing advances in digital print technology. To find timeless kitchen flooring, backsplash ideas, or tile to add an aged feeling to your kitchen, our staff is eager and ready to help you! Stop by today to learn more about our flooring selection. We look forward to serving you.